Whether you need some reliable floodlights for the inside or outside of your property, our Timeguard CFL floodlights could be great contenders for the perfect fit. 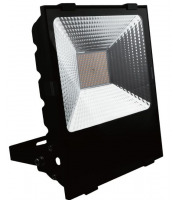 These cfl flood lights are a brilliant choice if you require affordable, robust and powerful lighting for a whole manner of situations. Some of the compact fluorescent floodlights by Timeguard even come complete with PIR motion sensors, meaning you’ll have a detection sensor as well as a light. 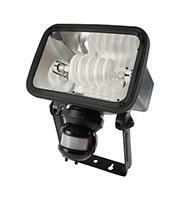 Although these CFL floodlights don’t take LED bulbs they will in fact save you energy in comparison to halogens. One of these bulbs will provide approximately 75% energy saving qualities compared to 150w halogen bulbs, this will supply owners with a longer lifespan and less maintenance worries. Both of the floodlights within our CFL range boast a 36w power rating, giving further reason as to why you should adopt these quality lights. Although compact fluorescent downlights emit a strong powerful beam their downlight construction makes them are a discreet fitting, usually being hidden in ceilings with only the bulb visible and in level with the surface. These low energy lights with a low associated price are one of the best models for practicality. With their IP44 rating these compact fluorescent downlights can also be adopted outside as well as indoors, making them durable, flexible and versatile lighting systems. From within this range of Timeguard floodlights you even have the chance to inherit a floodlight with a PIR system inbuilt. A PIR device is used to detect movement and reacts by instantly switching on the light; this is a great choice for people who don’t wish to keep switching on and off their lights, using the intelligent sensor to do the work instead, perfect for early morning trips to work or getting home when it’s dark. Direct Trade Supplies are proud to feature such a broad range of lighting systems, from designer lamps and ceiling pendants to help make a statement in the home, to industrial lighting, motion sensors and LED panels for commercial situations. Whatever lighting you are looking for we are sure to be able to help you achieve your goals. Drop us an email or give us a ring should you find something you like or if you need to know more information on our lighting products.